I tend to judge a city by its food, especially its brunch options. Being from Miami, brunch is considered a religion. It’s a time to reconnect with friends and reminisce over the silly things that happened over Friday and Saturday night. 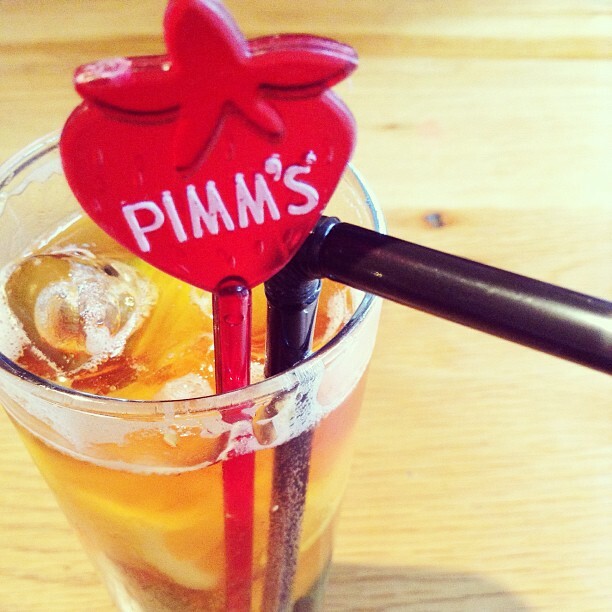 It’s a day to go outside and enjoy the surroundings with some rosé or in this case a Pimm’s! my very first Pimm’s cup at Loch Fyne and definitely not my last! 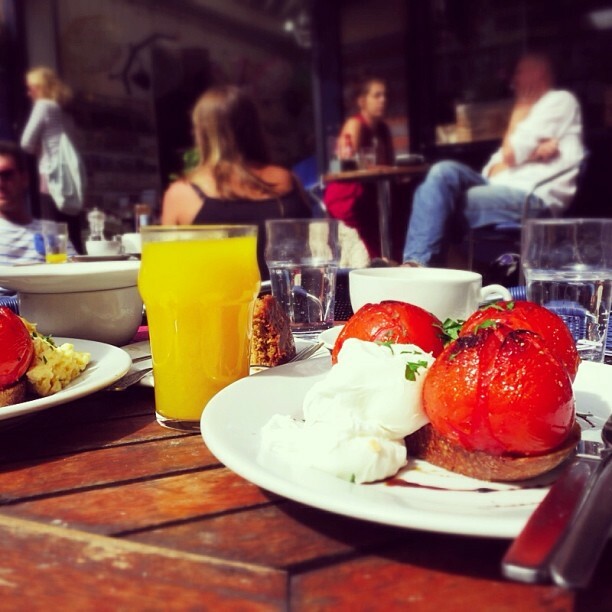 Thanks to Heather’s travel blog I found out about Primrose Cafe, one of the many Bristol restaurants perfect for brunch. A must-eat-at spot! In all seriousness, I politely waited across the street for about 15-20 minutes, so get there early. They have a great menu, perfectly cooked eggs, massive killer tomatoes, oversized chai tea and tons of rich cakes to choose from. Plus, liquor and wine if you’re feeling randy on any given Sunday. It’s located in the cutest little square filled with funky shops and close to pretty streets and parks. 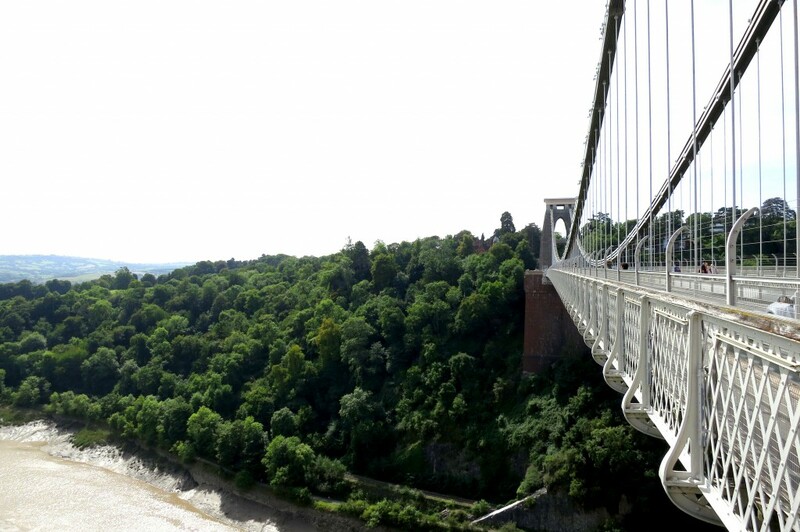 It’s also really close to Clifton Suspension Bridge. I walked to the bridge after brunch to see more of Bristol and to walk off a mondo creamy, caramel, coffee cake. 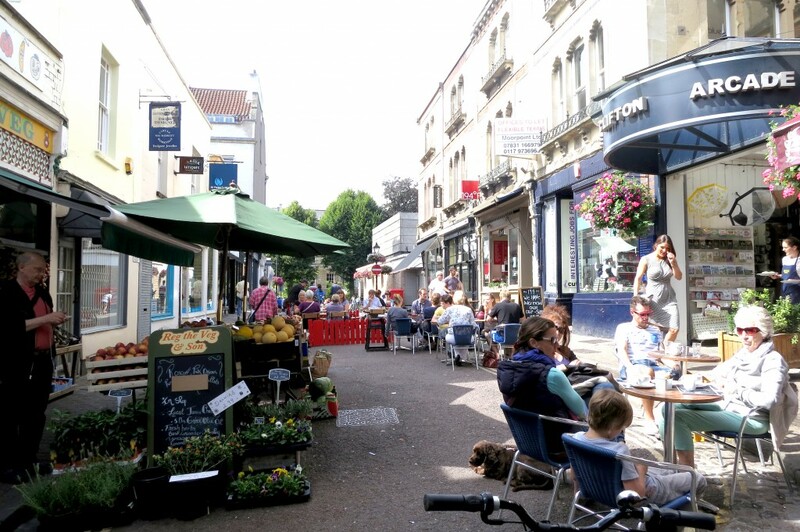 If you visit Bristol then also check out Pitcher & Piano for their location right by the Arnolfini Gallery and Millennium Park, large menu, fast service and tasty salads. I also really loved Loch Fyne for their Pimm’s, spicy fishcakes and full on seafood menu. I don’t typically eat at restaurant chains, but I left really impressed with their selection and quality. 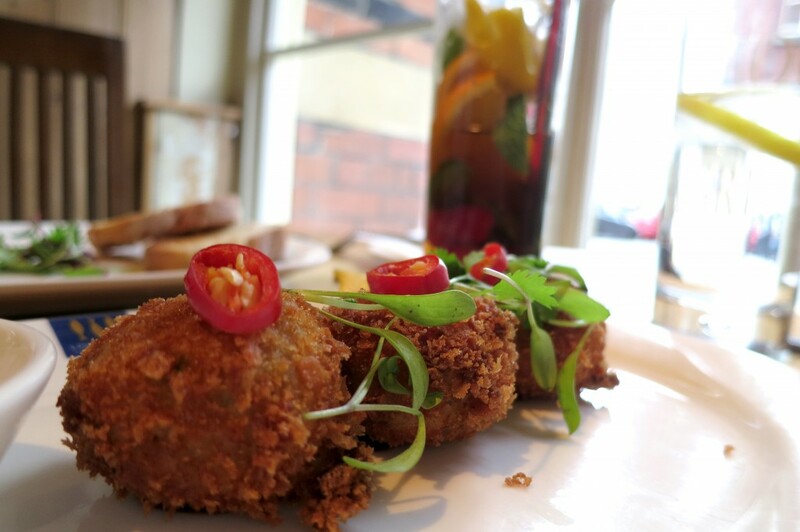 perfectly spicy fishcakes with a Pimm’s of course! 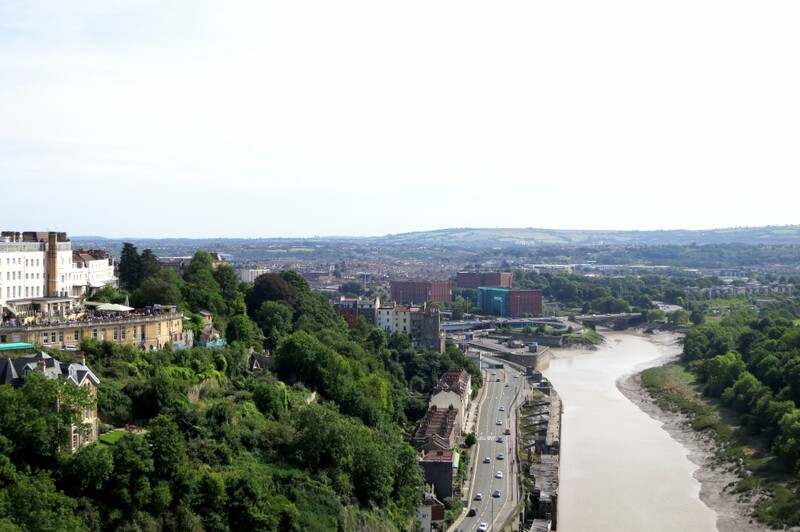 It was hard leaving Bristol after two nights knowing that there was so much more to explore, but thanks to all the food I tried, walks I went on, plus the graffiti tour and tugboat ride I felt like I got a taste of the city and boy was it good! 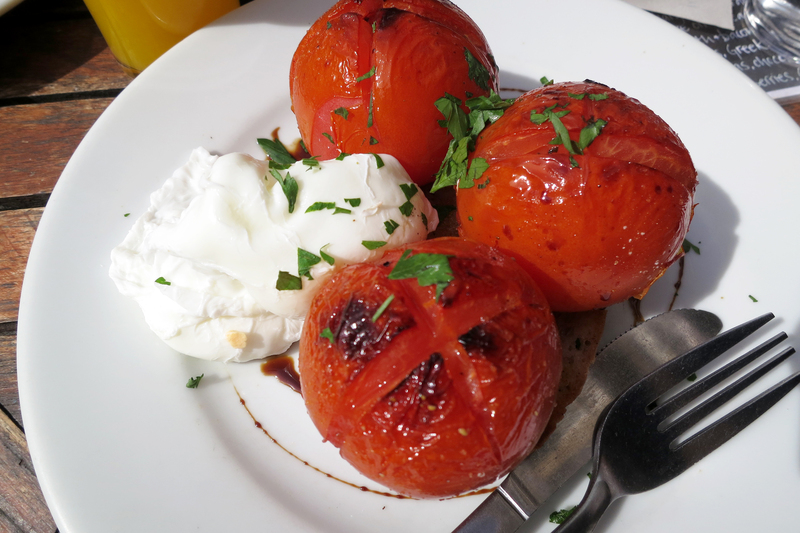 Oh and for those killer tomatoes I was full after one, but found room for more! Next up on my UK road trip, Cornwall! What’s your favorite place for brunch?